Sonam Wore A Lehenga Gifted By Her Mother-In-Law For Isha Ambani's Engagement! Isha Ambani's engagement ceremony started yesterday in Lake Como, Italy and from Priyanka-Nick to the Kapoor khaandaan, everyone's there! The three-day functions include themed lunches and gala dinners with a specific dress code for each event. Day one saw Priyanka dressed in a gorgeous Manish Malhotra saree and Janhvi Kapoor looked ravishing in a black gown and red lips. But it was Sonam Kapoor who yet again stole the show! The newlywed wore a lehenga that was gifted to her by her mother-in-law, Priya Ahuja. The outfit was a birthday gift from Anand's mom! Sonam posted a picture on her Instagram, sitting beside hubby Anand in a boat in Torno, Italy. We are loving this picture and cannot get over it! 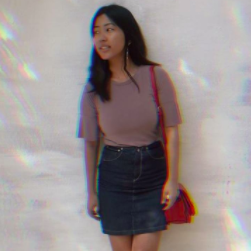 She indeed looks like a princess, IRL. The caption read, "Wearing my birthday present by Priya Ahuja. Thanks so much mom! I felt like a princess!" The celebrations have only begun! 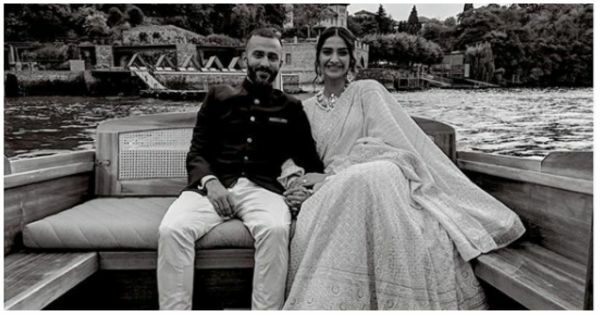 We can't wait to see more of Anand and Sonam and their adorable posts from the Italy vacation!